If you have been doing any reading about cardiovascular disease lately, or if you have had a recent talk with your doctor about preventing or treating heart disease, you may have encountered the term "endothelial dysfunction." The concept of endothelial dysfunction has become important in recent years to our understanding of many cardiovascular conditions, including coronary artery disease (CAD), hypertension, microvascular angina (cardiac syndrome x), diastolic dysfunction, and others. Endothelial dysfunction is a condition in which the endothelial layer (the inner lining) of the small arteries fails to function normally. As a result, several bad things can happen to the tissues supplied by those arteries. 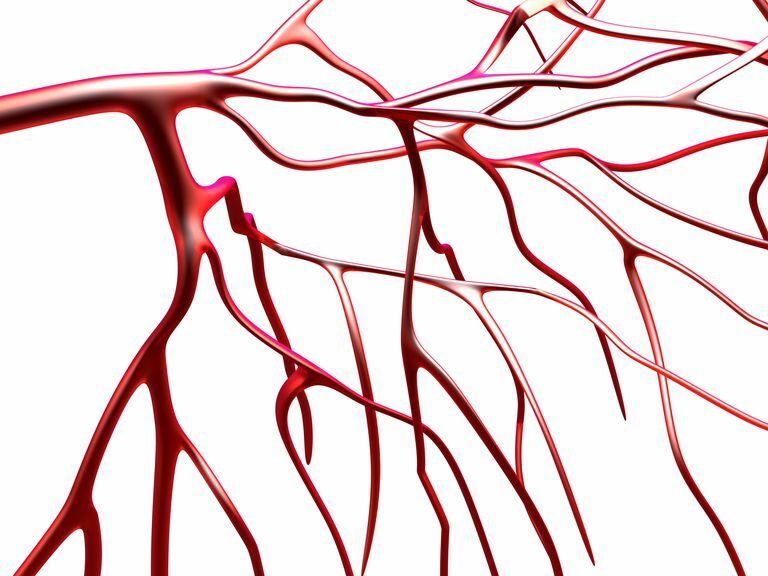 In the body's arterioles (the small arteries that precisely regulate the flow of blood to the tissues), the endothelium is the inner lining of cells that has several critical functions. The endothelium maintains the proper dilation and constriction of the blood vessels. This function determines on a moment-to-moment basis how much blood is received by the body's various tissues. Endothelial "tone" also largely determines a person’s blood pressure, and how much work the heart must do to pump blood out to the body. The endothelium also protects the tissues from various toxic substances; regulates the blood clotting mechanism; controls the fluid, the electrolytes, and the numerous other substances that pass back and forth between the blood and the tissues; and regulates inflammation in the tissues. What all this means is that the proper functioning of the endothelium is critical for the normal function of the body’s tissues and organs. When endothelial dysfunction is present, the ability to perform one or more of these vital functions is compromised. Because the endothelium is so important to so many vital functions, a lot of research is being done to understand all the causes of endothelial dysfunction. At this point, it is apparent that endothelial dysfunction is related to a reduction in the levels of nitric oxide (NO) in blood vessel walls. NO is a gas that is produced by metabolism of an amino acid (L-arginine). NO, which has a very short half-life, acts locally within blood vessels to help modulate vascular tone and the other important endothelial duties. A deficiency in NO production leads to excess constriction of blood vessels (which can produce hypertension), contributes to the activation of platelets (leading to blood clotting), increases the stimulation of inflammation in blood vessel walls, and increases the permeability of the vessel walls to damaging lipoproteins and various toxins. To summarize, endothelial dysfunction is characterized by reduced vascular NO levels, which, in turn, leads to several abnormalities in blood vessel function. These functional abnormalities tend to promote atherosclerosis. In addition, endothelial dysfunction can directly cause abnormal constriction of the small arteries, and is thought to be a major factor in producing cardiac syndrome x and potentially, diastolic dysfunction. Making a formal diagnosis of endothelial dysfunction is usually not necessary. Some degree of endothelial dysfunction can be safely assumed in anyone who has CAD, hypertension, or major risk factors for heart disease (especially those listed above). So actually measuring a patient's endothelial function is not something doctors routinely do. But if endothelial dysfunction is suspected in a person without clear reasons for it (such as a person thought to have cardiac syndrome x), a diagnosis can be confirmed by tests that measure the ability of the blood vessels to dilate and/or constrict in response to drug administration. Endothelial function can be improved by the lifestyle measures that are commonly urged on all of us to reduce our risk of cardiovascular disease, including weight loss, exercise, smoking cessation, control of hypertension, and control of diabetes. Other dietary measures including nuts, olive oil, dark chocolate, green tea, plant-based foods. In addition, several medications are being studied specifically to see whether they can improve endothelial dysfunction in a clinically meaningful way. Some of the agents that appear to show promise include nifedipine, some ACE inhibitors, estrogen, ranolazine, and sildenafil. In recent years medical researchers have identified endothelial dysfunction as an important underlying contributor to many kinds of cardiovascular problems. While active research is being conducted to discover ways to improve endothelial function, and therefore reduce the risk of cardiovascular disease, there is already a lot we can do about it. In particular, we should make sure to get plenty of exercise, stop smoking, and make sure we work with our doctors to manage our hypertension or diabetes, if we have these conditions. Crea F, Camici PG, Bairey Merz CN. Coronary Microvascular Dysfunction: an Update. Eur Heart J 2014; 35:1101.